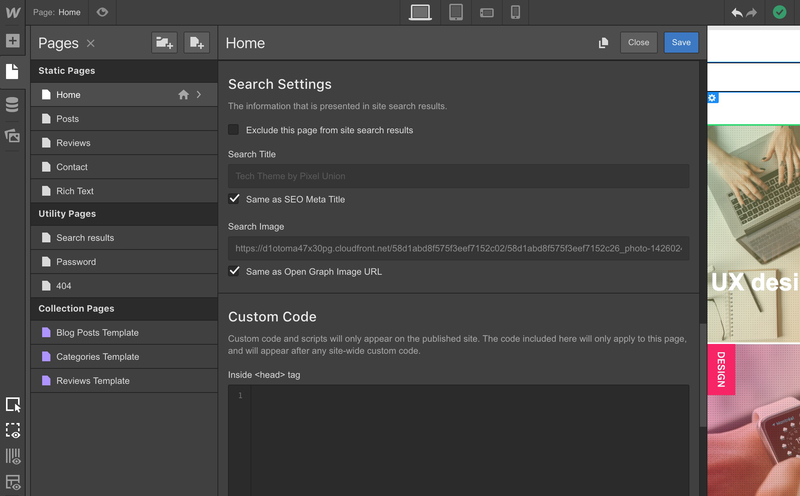 After a just over month in beta, site search is now ready for release to the entire Webflow community. 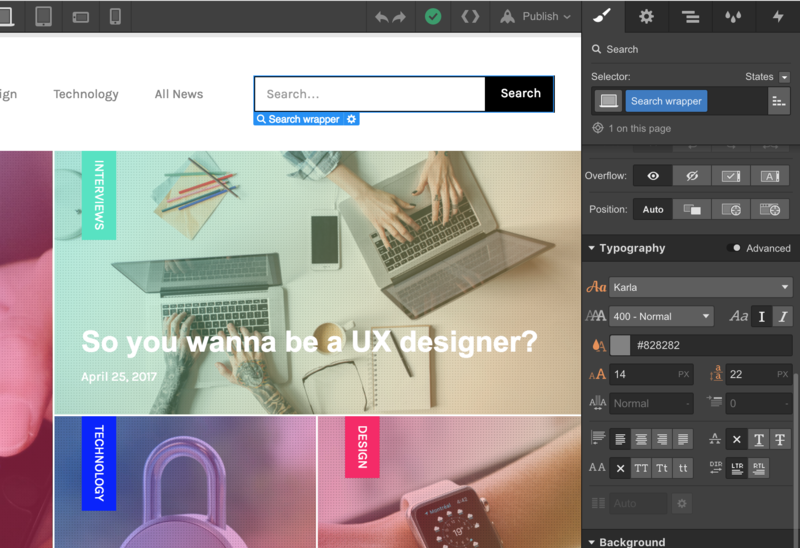 With complete control over design and search engine content, you’ll have everything you need to build the search your projects need. 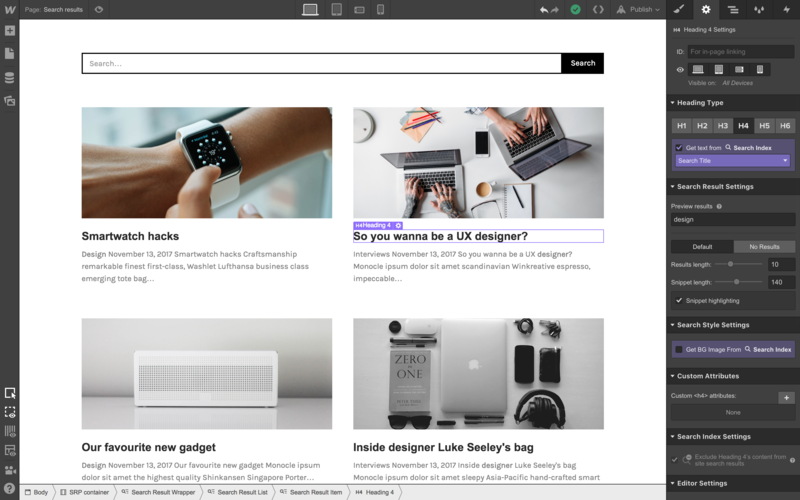 Navigation can help guide people through the site, but once a site starts to swell with content, search is the most intuitive (and certainly the fastest) way for visitors to find their way to the content they need. With the release of site search today for all sites with CMS and Business hosting, now you can build these content-heavy sites knowing that you’ll be able to provide a high-powered search experience for visitors. And just like everything else in Webflow, you’ll have complete control over the design of that experience. Below I’ll briefly touch on each of these three parts, but for a comprehensive look at all of these pieces and more, check out our site search guide on Webflow University. ‍Style search just like you’d style any form input — however you want. 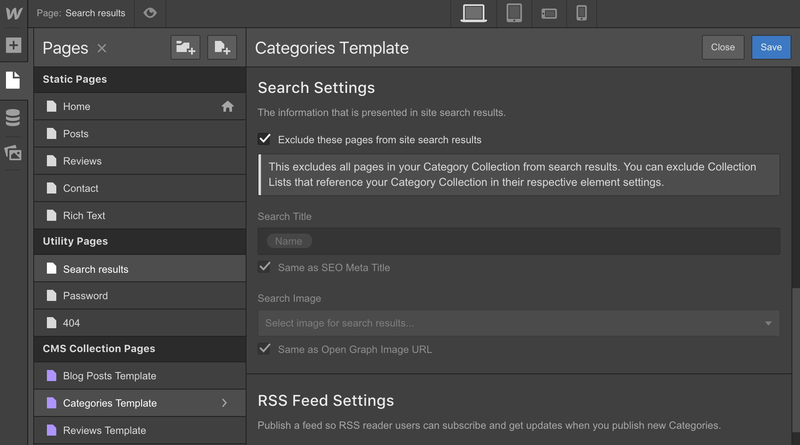 Styling your search results takes place on a new utility page for just that purpose, which you can now access in the Pages panel. 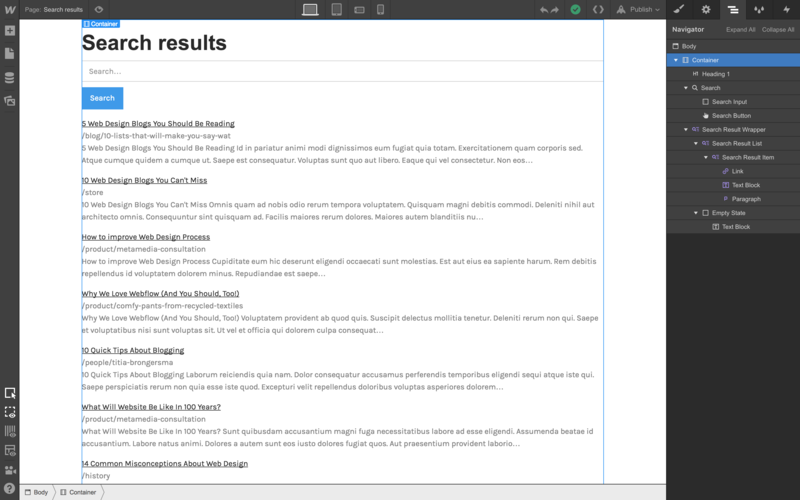 The results page features a skeletal design, filled with sample results to tweak before you add hosting or create an index. (Note: Full-featured search is only available on sites with CMS or Business hosting, but you can design search and play around with sample results on any site). ‍The starting point for the search results page, populated with sample results. 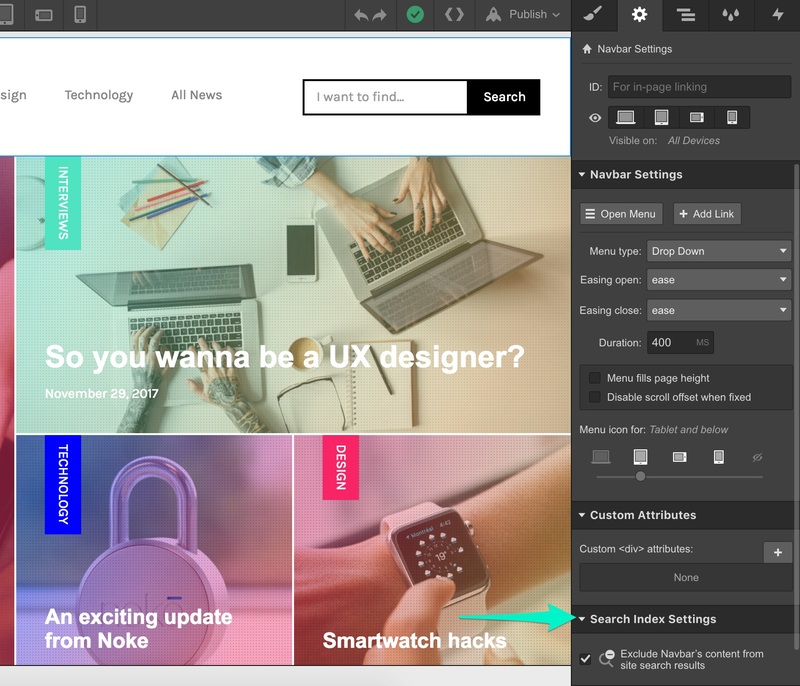 From this starting point, you can customize the design however you’d like, bringing in thumbnails, removing elements, and tweaking spacing as needed. As you’ll notice, styling the search results list feels a lot like styling a Collection List, with each change you make applying to each result in the list. ‍Styling search results works a lot like how you style Collection Lists. This opens a lot of possibilities for creative layouts on your search results page, so you’re not stuck with an unhelpful wall of text that users need to sort through. 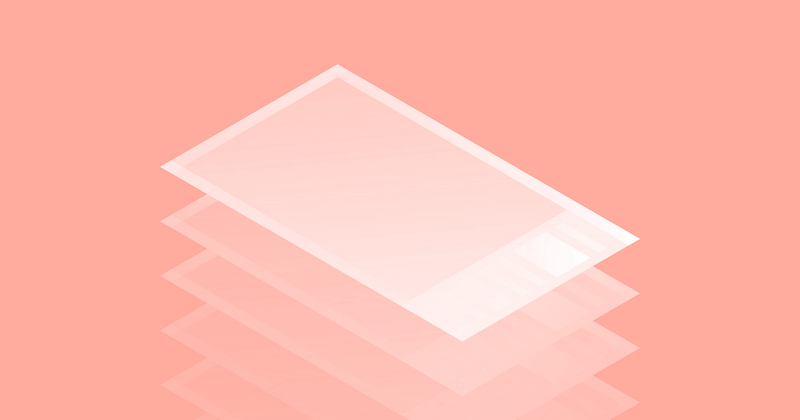 ‍Get creative by breaking your results page layout into an image-driven grid. On the search results page, the titles for each item are drawn from whatever is set in the new search settings section of your page settings panel (just under existing controls for SEO metadata and OG content). You can customize these on a per-page basis for static pages, or on a per-Collection level for CMS driven Collection Pages. ‍The new search settings section of the page settings panel lets you customize the title and image that you want to appear in search results. In addition to setting specific titles and thumbnails for each page, you might also want to exclude entire pages from search, like your homepage, for example, which generally serves as a spoke for other pages on your site and might feel out of place in a list of search results. To exclude pages, check the box under the search settings for that page. This can also be done at the Collection Page level to exclude an entire content type from search. ‍Exclude CMS template pages to remove specific content types from search results. ‍Exclude specific elements for fine-tuned control over search engine content. Behind the scenes, we built search on top of the open-source Elasticsearch, which brings industry-leading relevance and natural language processing libraries within your control. 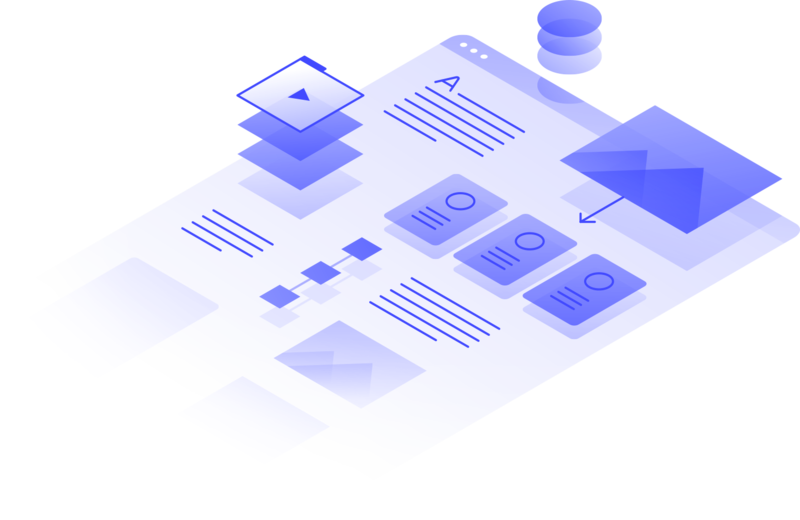 So you’re not just getting simple, database-driven search — you’re running your own instance of one of the best search technologies available on the web. (We’ll be releasing our own post with more details on the tech behind search in the not too distant future). To get all the details on how to set up search on your site, check out our site search guide on Webflow University. To see search in action, try searching this blog! 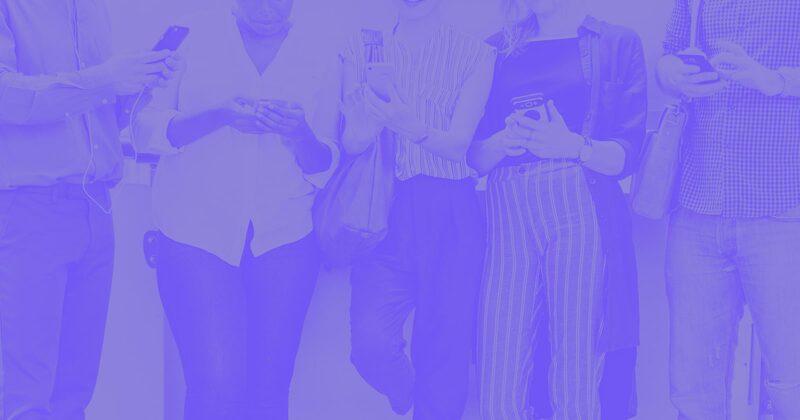 We’d love to see how you’re using search, so go ahead and share your links in the comments!